A Love Shine classic! 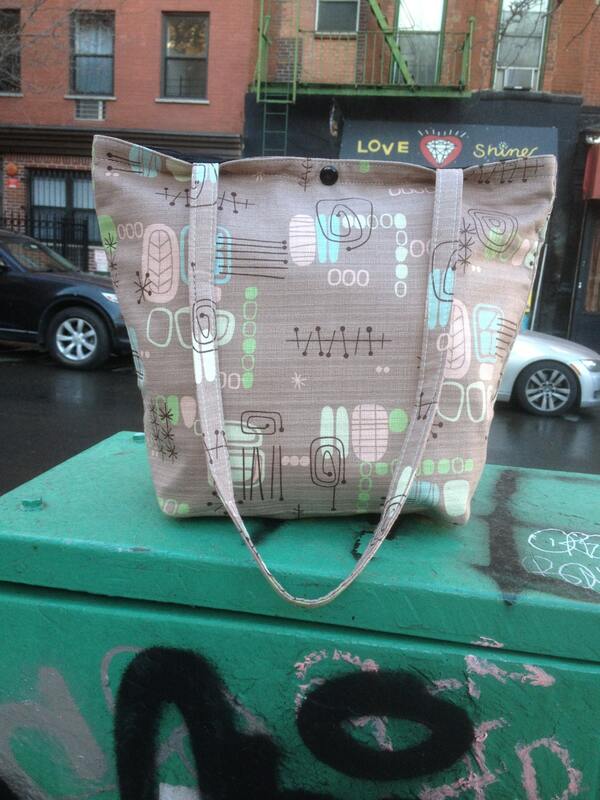 This basic tote bag has a mid century modern bark cloth style reproduction print in cocoa brown and pastel colors. The interior has one 9" x 4" pocket and is lined with a black water repellant lightweight canvas and a snap closure.